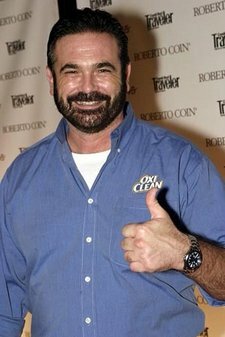 Yes folks, in most possibly the worst news of the week, Tiggy is sad to report that the King of questionable TV infomercials, Billy “HI, I’M BILLY MAYS!” Mays has shuffled off this mortal coil, and will now be flogging OxiClean in a better place. Why do the loudest have to die so young? Thanks for the endless comedy material Billy, rest in peace. Sorry, REST IN PEACE. Gourmet chefs! Working up a sweat to earn another Michelin star for your restaurant? Too busy sculpting carrots and flambéing guinea pigs to tackle that pile of unbuttered bread? 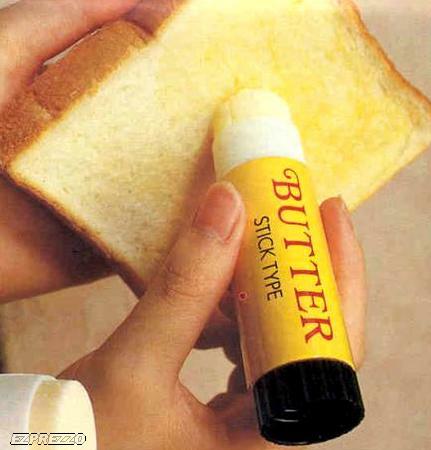 Banish your kitchen nightmares with this handy Sticky Butter Butter Stick! Top shouting chef Gordon Ramsay would probably be even more successful if he had this powerful grease gadget in his f*#*ing kitchen! * Sticky Butter’s computer-designed ergonomic shape means it can tackle even the most exotic bread shapes – and rolls too! * Don’t stop at bread! Butter Stick can also be applied to crackers, asparagus and as a soothing balm for insect bites. *Collect the whole range of great kitchen accessories including Ketchup Rifle, Spray Can Jam and Lard Pen! Tiggy’s Shopping Bizarre – Process That Deer! Hunters – do you have piles of dead deer blocking up your lodge entrance? Devoid of ideas on what to do with your bloodied bounty? All stuffed out with the Do-It-Yourself Taxidermy kit? Thank goodness someone has created this fabulous DVD packed with ideas to – yes – process that deer! Featuring step-by-step instructions from leading deer processing experts Monty O’Drizzle and his assistant Bob Nutter, you too can get that decaying deer cut and shut before sundown! * Slash, slice and dice with confidence as you transform your bucket of buck into a bountiful feast of burgers, pies and sausages. You’ll be such a culinary hit even your tree-sucking vegetarian friends will be gorging on bloody steaks in no time! * Monty and Bob demonstrate 101 uses for a deceased doe and create accessories for your truck and trailer, stunning costume jewellery, a children’s bouncy castle and a replica of the late Charlton Heston! * You Hit The Cat, Now What? So grab your rifle and get blasting! I thought adult diapers were designed for people with a medical condition until I discovered these cutie-pie XXL sized botty potty bags! 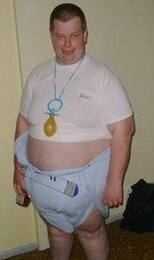 Big babies everywhere can sleep comfortably in their cribs wearing these high quality diapers. But they’re not just for the nursery! * Never miss a minute of the hockey game or theatrical spectacular while wearing the ultimate in porta-potties! * Ladies, no need to spend hours lining up at the nightclub washrooms when you can go… without going anywhere! * A diaper for the winter sports market is overflowing with potential. Spend all day on-piste without getting piste-off struggling with bulky snowsuits in the washroom! Banish that frosty feeling with instant warm relief whenever nature calls! I see Winter Olympics merchandising opportunities here.